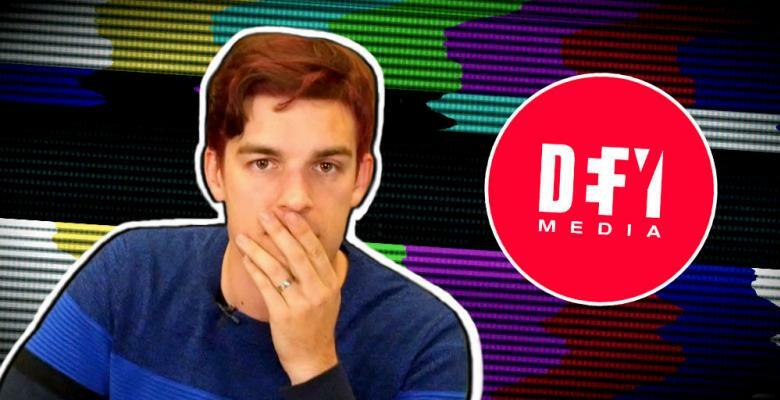 Defy Media, the multi-channel network (MCN) formerly overseeing some of YouTube’s most successful content creators, is being accused of stealing over $1.7 million dollars in revenue owed to 50 of their former business partners following a company shutdown last year. After two months of waiting, these paychecks still remain in limbo. Last week, Matthew Patrick of The Game Theorists released a video statement to his YouTube gaming channel detailing how the executives for the MCN service he was contracted under failed to pay all of their associated content creators for their work in the wake of the company’s sudden bankruptcy. The collapse wasn’t the result of lost revenue or lack of talent, but rather the faulty nature of the MCN service which can act as legal representation for copyright protection at best or an income-leeching Ponzi scheme at worst. So what is an MCN? In the past, YouTubers were actually required to sign up for these networks as a partner in order to obtain advertising revenue from the platform and implement their own customized thumbnails. Nowadays, this is no longer the case as these liberties are granted to any user with sufficient watch hours and subscriber counts without the need for big business intervention. Instead, an MCN can sometimes be a tool for content creators to either obtain direct sponsorship and TV deals with industry associates (such as Dreamworks or Disney) or a means to afford legal protection from fruitless copyright problems over fair use commentary — a routine plague for those within the field of entertainment criticism. “Based on the system that YouTube has set up,” Patrick states, “those companies are the only ones with the tools that can offer those protections.” This could be argued as a form of insurance, though with such a new market comes a catch. According to another statement given to Julia Alexander of The Verge, Ally has suggested these YouTubers are unlikely to see their paychecks anytime soon after the process is complete. This is all incredibly shady since in 2016, according to a report from The Wrap, Defy had upwards of $100 million in investments and assets (mysteriously unaccounted for) while representing YouTube’s highest channels such as conspiracy theorist Shane Dawson and the comedy channel Smosh. Now Defy is facing multiple lawsuits from both those creators and direct employees who were denied their rightful paychecks and notices of dismissal, among other labor rights Defy violated. Defy has refused to comment on the scandal.